Elite Carbon Blanks & Nano Resin Technology - Speed Demon Pro rods start with our own Elite Carbon blanks that utilize Carbon Nano Tube resin technology to reduce weight, increase breaking and lifting strength by over 30% compared to standard graphite blanks. These proprietary blanks are not only strong and light but may just be the most sensitive rods you've ever had in your hands. 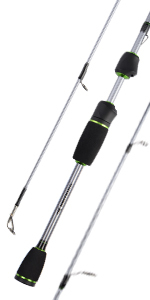 Fuji Guides/Reel Seats & WINN Grips - Only the finest Fuji guides and reel seats are used to ensure that reels stay firmly in place and that lines are never frayed or are slowed down by inferior guides. Spinning models using Fuji LV style guides with Alconite rings, casting models use Fuji LN model guides with Alconite rings. 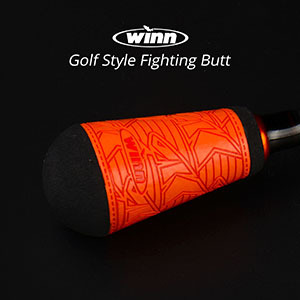 Handles and fighting butts are custom WINN golf style grips that provide comfort and a sure grip in all conditions. 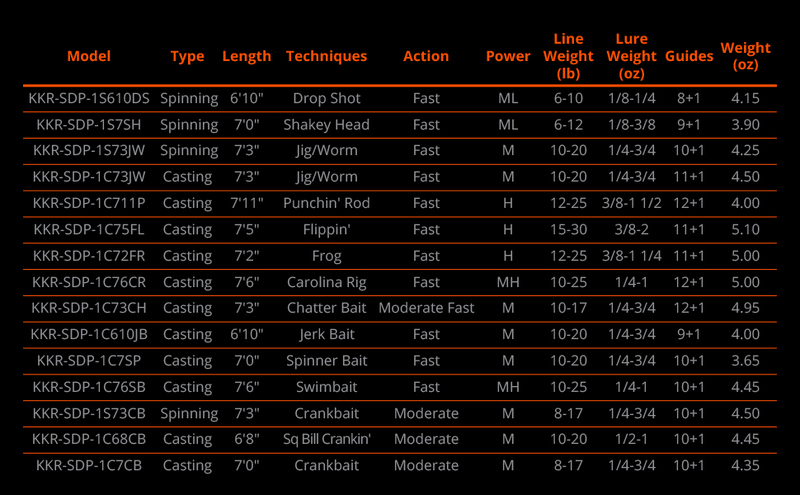 15 Technique Specific Actions & Lengths - We've design each action based on years of experience and elite angler input to ensure that each model is precisely built to delivery uncompromising performance for each specific technique. 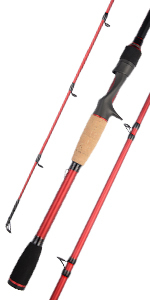 Everything from the rod weight, action and length of the handles are carefully considered to build your favorite new rod. There are currently 15 models including 4 spinning and 11 casting models all in 1-pc designs and ready to take you to a new level in your sport. Lightweight Composite S-Glass Crankbait Rods - The Speed Demon Pro crankbait rods use a composite blend of S-Glass and high modulus graphite for a lightweight, well balanced, thin rod blank that still has a soft crankbait action. 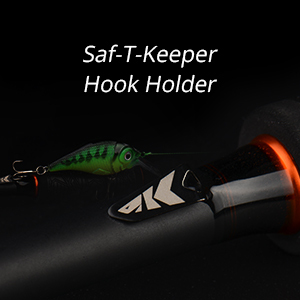 There are two casting models, 7' crankbait and 6'8" Square Bill rod and a new 7'3" spinning model for those anglers looking to make long casts with small crankbaits and still have that soft crankin' action rod using a spinning reel. True Tournament Performance Rod - We've spared no cost in building these rods to ensure that they look as good as they perform! You'll be proud to have the entire series on your boat knowing that you're using a true performance rod and will have confidence in its durability because of KastKing's Incredible Total Peace of Mind Warranty! 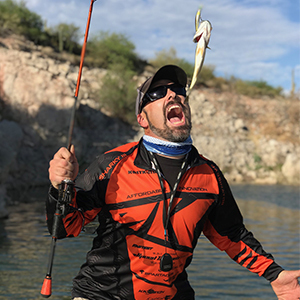 It wasn't long ago that you made your fishing rod buying decisions based on length, action, power, line and lure weight along with the "wiggle" test to make your final decision as to if the rod will fit your needs. Today, we've taken the art of rod building to a new level using technology and years of experience in creating rods with technique specific actions and lengths. 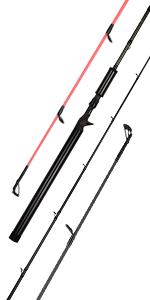 The results are rods that will out fish and out perform older technology because they are designed to deliver outstanding results with many of today's specific bass fishing techniques. Simply stated, you wouldn't be as effective using a drop shot rod for flipping or a crankbait rod for throwing swimbaits, etc. 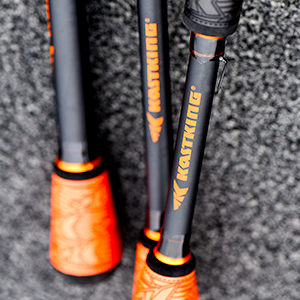 The new KastKing Speed Demon Pro rods start with our industry leading, Elite Carbon blanks that utilize Carbon Nano Tube Resins to reduce weight, increase strength and provide the ultimate in sensitivity. 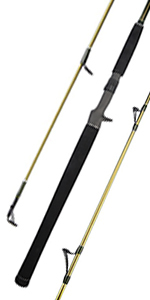 Each blank is then custom designed to provide you with the ultimate fishing tool given the technique you use most often. We've tested every rod to ensure that the action, overall length, handle length, guide combinations and sensitivity are perfect for a given technique which will simply allow you to catch more fish with less effort, consistently. We then selected the best possible components to finish the rods with pure performance in mind. Only Fuji reel seats and guides are used to ensure your reels stay firmly connected and that lines of all kinds slide quickly and smoothly from the reel to the fish. 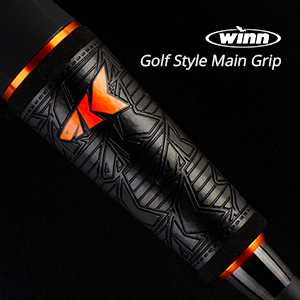 Custom WINN handles and fighting butts ensure that your rods will perform as well as they look and that even after long hours on the water, hand fatigue may be caused by catching too many fish but won't come from inferior handles. 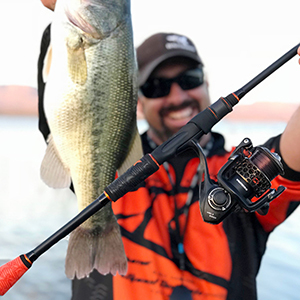 So, whether you focus on just one or two techniques, there's a KastKing Speed Demon Pro rod that is sure to meet your needs. 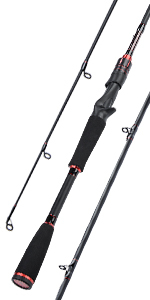 Best rod on the market, with price point!!! Excellent quality and best prices. Absolutely the best quality. I buy exclusive Kastking for Rods and Reels. 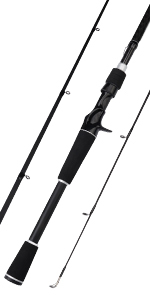 Best rod for the money. Are you shipping rods to Germany? Sorry for the inconvenience, this rod is only available in US currently. We will keep you posted when it's available in Germany in future.